I love throwing money I don’t have at things that I’ve filed under “OMG WANT” and as a gamer, anything that shows off my inner gamer nerd is a must buy. As a first timer in E3, what can widely be considered as the pinnacle of game events, the merchandise booth is the first one I ran to when it opened its gates, join me as a undertake an adventure to try to save money (or not) in the face of the E3 merchandise booth! Sony has a separate merch booth for their products and while they are a bit pricey, you know deep inside that you want everything! This isn’t all and they have a ton of other stuff for sale but right now we can see a lot of God of War items, plus some other things that are from the upcoming games like Days Gone, The Last of Us 2, Ghost of Tsushima, and SpiderMan! Only credit card, folks! Ubisoft also brought out the goods with some Assassins Creed goodies, The Division 2, South Park, and more! Square Enix was not to be left out as they put out a lot of Final Fantasy, Kingdom Hearts, and OST’s as well. 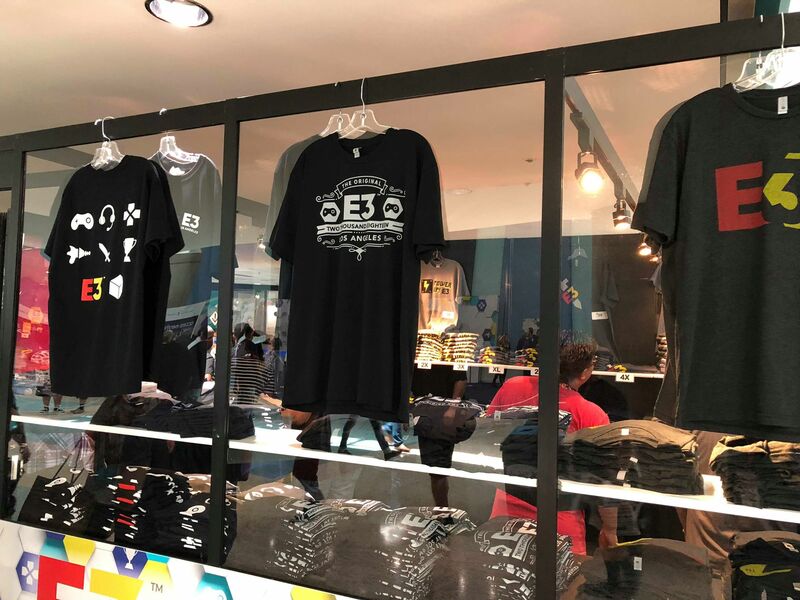 E3 had a bunch of their merchandise on sale also and what better way to let people know that you attended the event than wearing exclusive merchandise from the event itself! There were a lot of other stuff in sale such as mystery lootboxes, gaming related gacha items, and gear from Bethesda, Funko, and much more! What would you have purchased if you had a chance to go to E3? Let us know in the comments below and hey, keep your eyes peeled out for a merch run promo that we’re putting out for E3, similar to our Tokyo Game Show promo from before! Cosplay Game Went from INSANE to HAXX Levels @ ESGS!